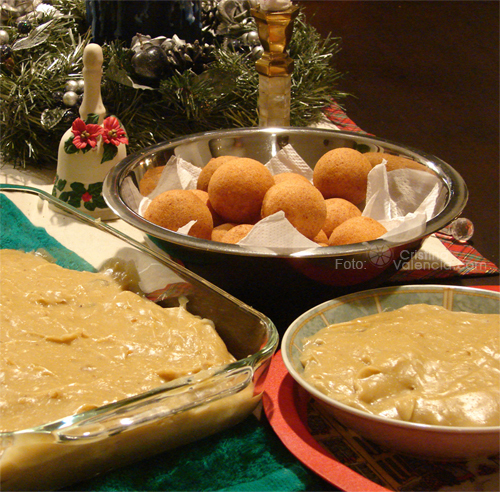 Colombian buñuelos. Picture taken by Cristina Valencia, shared on Flickr under Creative Commons license. As Christmas is celebrated throughout Latin America, families and friends get together to have dinner on Christmas Eve. This means they also get together to cook customary dishes that they traditionally only eat on this special night. Christmas meals in the region are also a vivid representation of the region's cultural diversity and history. There are dishes that were brought by migrants and became tradition, as well as others, mixing foods that represent the different ethnicities of Latin America. Another video, also in English, shows how to make “romeritos” — Mexico's traditional Christmas dish. Romeritos are typically found in the center and south of Mexico, and they're only served during the Christmas season. The name comes from the wild plant known as “romerito,” which resembles baby spinach or rosemary. The dish consists of these plants, with dried shrimp and potatoes all contained within a mole (spicy chocolate) sauce. 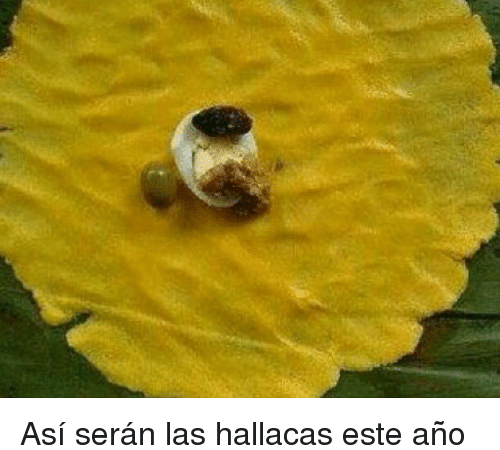 Both hallacas and romeritos have also circulated a lot in social media through memes. 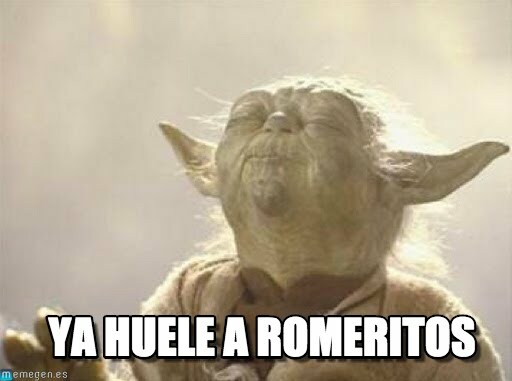 Caption reads, “Smells like romeritos already.” Image widely shared online. 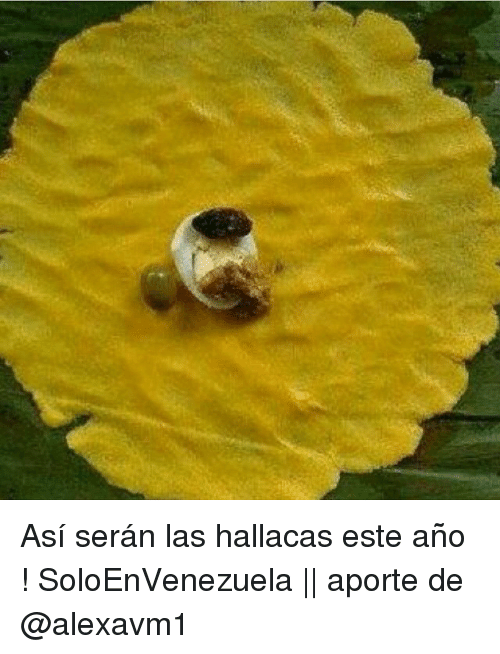 In the text: “This is how hallacas will be this year.” Meme widely shared online. Practically all of those who participated in our poll agree on the fact that Paraguayan soup will be one of the dishes that won't be missed in Christmas Eve. Some of them are experts preparing it, others just try […] everything goes if you can taste this “solid soup,” as foreigners call it. 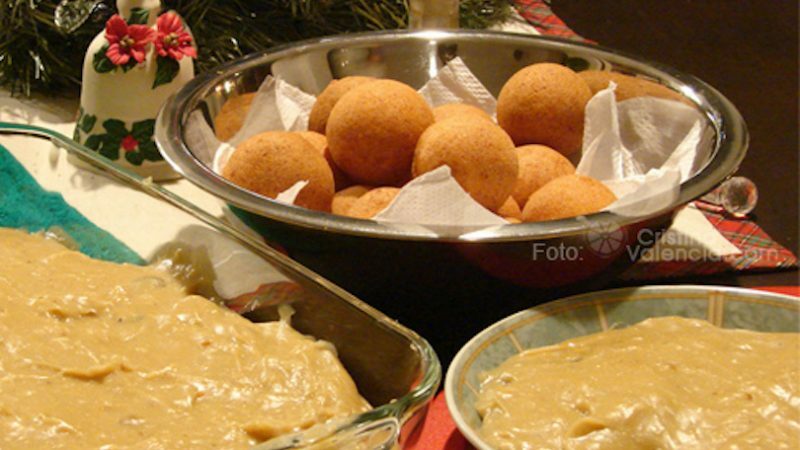 The first rule of Christmas food in Argentina is: forget the roast turkey and learn to embrace Vitel Thoné […] Vitel Thoné is actually one of Argentina’s most beloved Christmas dishes, originally hailing from Italy, like many Argentines. It’s made of peceto (veal), topped with a sauce of tuna, mayonnaise and anchovies. […] Note that peceto is not especially prevalent during the rest of the year, but come December supermarket supplies are stocked high. Finally, in a “BuzzFeed Red” video, Latinos from the United States share their Christmas meals and explain some of the traditions they families didn't leave behind when they emigrated north.